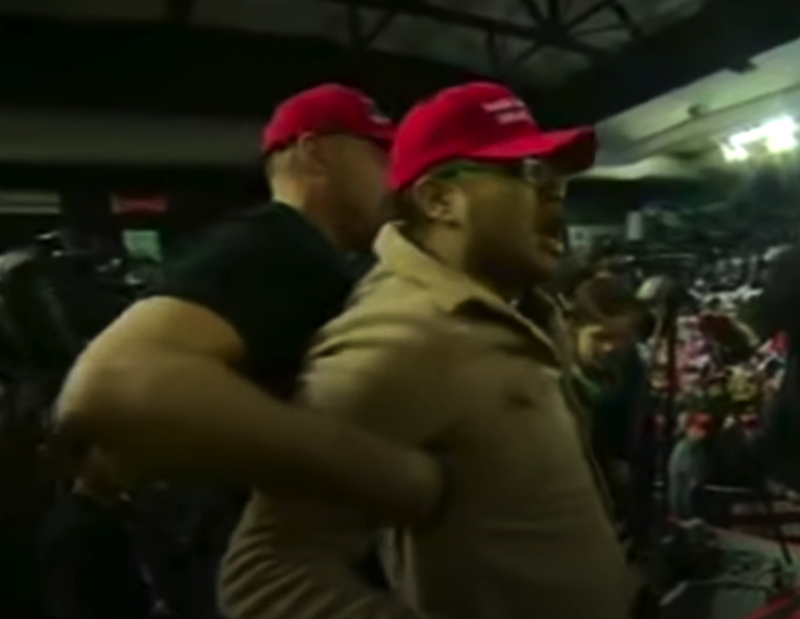 Sporting a Make America Great Again cap, the man shoved and swore at the BBC's Ron Skeans and other news crews before being pulled away. Mr Skeans said the "very hard shove" came from his blindside. "I didn't know what was going on." Mr Trump saw the attack and confirmed Mr Skeans was well with a thumbs up after it happened. Trump previous described the media as "the enemy of the people" the day a bomb was sent to CNN.